Your roof has a role to play in your property’s aesthetics, safety, comfort and overall value. Though if a roof becomes damaged, each of these roles can quickly become compromised. For example, pooling water not only damages the physical budding materials, it also lead to mold growth and other contaminants within your home or business. Never neglect the signs of roof damage and roof damage. For emergency and professional sieve, always utilise professional roof repair service. Even small roof leaks can lead to increased home heating costs, animal infestations and water damages. Small leaks can also lead to much larger damages and repair needs. Having these leaks or gaps sealed and repaired, before they enlarge or otherwise worsen, saves you time and money. If you have any concerns about roof leaks or gaps in your roof system, contact a professional immediately. Gaps can be hard to find and can become much worse before they are easily seen via ceiling water damages or large holes visible from ground level. It is a sound preventative measure to have your roof inspected after major hail or windstorms. If you notice a small number of shingles missing, cracked, buckled or discoloured, your roof will require shingle replacement services. Missing shingles expose roof underlayment, making the roof very vulnerable to further damages. 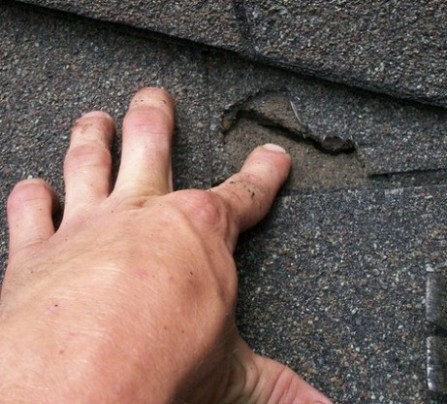 When a shingle becomes dislodged, it also depletes the security of all those it was connected to. This can lead to increasing numbers of shingles falling off if the missing few are not replaced in a timely manner. Flashing is a metal sheet that borders the chimney, vents and often the roof borders. If flashing becomes rusted, damaged or missing, it can leave a variety of roof materials exposed. Missing flashing can lead to roof leaks as well as damaged roof vents. After rain or snow melt, do you notice water pooling on some areas of your roof? Structural integrity issues are often the cause of roof slopes and water pools. If a sloping roof is found early, it can often be repaired. Though, if a roof slope is left to worsen the property and moisture damage can leave the roof damaged beyond repair. When Is A Full Roof Replacement Required? Roof repair services can be ideal for fixing a number of individual damages as well as for preventing the need for full replacements. Though, if a roof’s structure is completely compromised or damaged so far that the required repairs would outweigh the costs of a roof replacement, a full replacement will be required. These are some signs that roof is need of a full replacement. * Roof Age: Many roofs will require replacement after 20-25 years. Several roof materials can have much longer life spans. Ensure your roof is in good condition with semi-annual roof inspections, for roofs more than 20 years old. * Sagging Deck: A sagging roof deck is a sign of large water damages or roof structural damages. Sagging decks also lead to water pools that can cause large leaks, which can then lead to attic and further property damages. * Moss Or Mold Throughout : When a roof has mold throughout the shingles or underlayment, the structure is not only prone to moisture damages, it can also lead to air contaminants in your home or business. * Overall Shingle Depletion: Are you noticing shingles granules piling up in your gutters? Shingles tend to lose their granules when they are becoming weathered and prone to leakage. * Fire Damage: Fire and smoke damages can affect entire roof systems, even without direct contact. What Is the Cheapest Way to Cool My House?